It's the time of year again to open up the grill and invite your friends over for some good grilled meat, vegetables, and some ice-cold drinks. Let the good times roll while you enjoy the sunshine, pleasant conversation, and connections with loved ones and friends! The following are some great (and easy) barbecue recipes to inspire your grilling adventures. Bon appétit! Mix together orange juice, soy sauce, brown sugar, olive oil, pressed garlic cloves, orange zest, salt, and chipotle pepper, and place in a container or resealable bag. Add chicken drumsticks to the mixture and let marinate in the refrigerator for at least 10 minutes. Grill, covered, for 10–12 minutes on each side until done. In a saucepan, boil brown sugar, orange juice, soy sauce, cornstarch, and water until thickened. Brush this yummy sauce on the chicken and serve. Fish tacos are easy to make, healthy, and delicious. Season your fish with just olive oil, sea salt, and lemon, or add a rub such as chili and cumin. Arrange the fish in an oiled grilling basket and grill at 350 to 400 degrees for 3 minutes on each side. Insert into a tortilla (which could also be quickly warmed and softened on the grill beforehand), and add toppings such as salsa, guacamole, shredded carrots, cilantro, cabbage, lettuce or chopped onions. Serve with roasted corn or beans on the side. Prepare gnocchi ahead of time. Preheat the grill to 350 to 400 degrees. Rub a boneless top sirloin steak with olive oil, kosher salt, and pepper. Let sit for 10 minutes. In the meantime, stir together butter, tarragon, and mustard. Place the steaks on the grill, cover them, and cook 8 to 10 minutes. Place the steaks on a plate with gnocchi and cover steaks with the tarragon-butter mixture. Mix together sea salt, fresh or dried basil, pepper, and freshly diced garlic. Sprinkle over bone-in pork loin chops. Grill for 5 to 7 minutes on medium-high heat on each side until done. Serve with a rice and vegetable mixture for maximum flavor potential. If you are looking for that wonderful fresh-out-of-the-wood-fired oven experience, why not try grilling your own pizza? Take some pizza dough and roll it out. Brush olive oil on both sides. 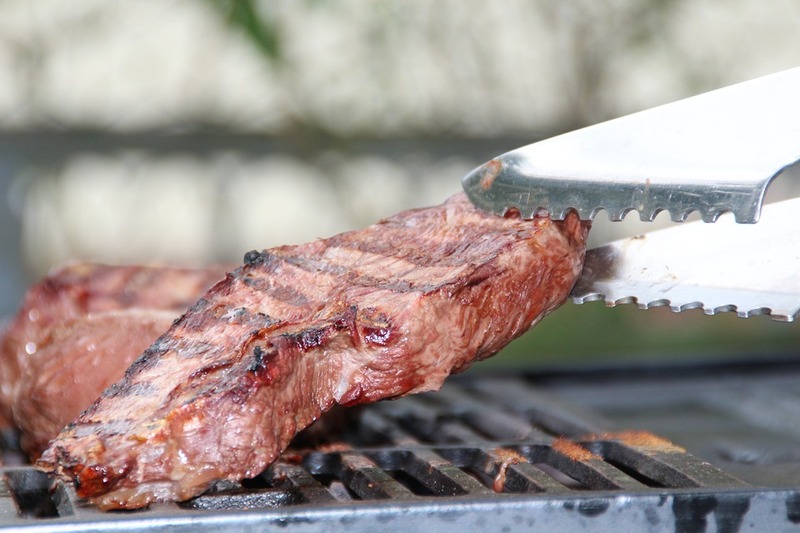 Grill one side at 550 degrees for at least 1 to 2 minutes; then flip over with a tong. Quickly add toppings to the pizza and cook for 3 to 5 minutes longer. If you are looking for Chicago apartments with a great BBQ/picnic area and other amenities, check out North Harbor Tower conveniently located right in the heart of beautiful Lakeshore East. Contact us today to find out more about our available floor plans, beautiful views, and luxury amenities.